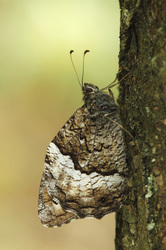 The male upperside is essentially dark brown with a braod, pale post-discal band on each wing. 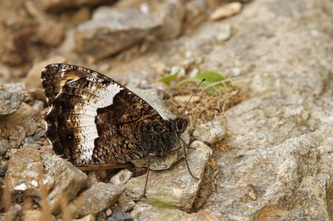 The band on the forewing is heavily dusted with brown and contains one or two eye-spots; that on the hindwing is whiter and more distinct, with a small eye-spot at the rear. 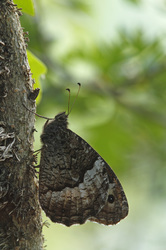 The female is similar, but the post-discal band is better defined. The uppersides are not often seen at rest. The two sexes are very similar on the underside, where the forewing is dark brown with a braod white or yellowish band containing a large eye-spot near the tip and sometimes a much smaller one further back. 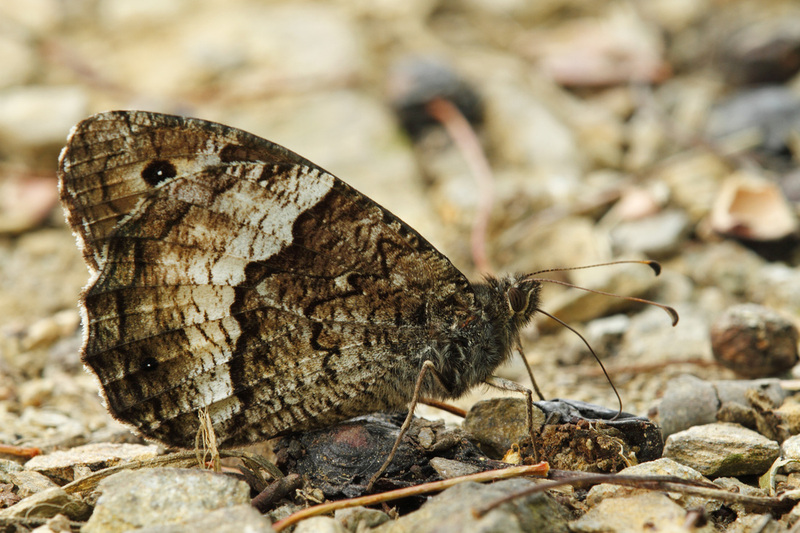 The Rock Grayling (hipparchia alcyone ) is almost identical but usually a bit smaller. Flight from June to September in light woodland and scrubby places. 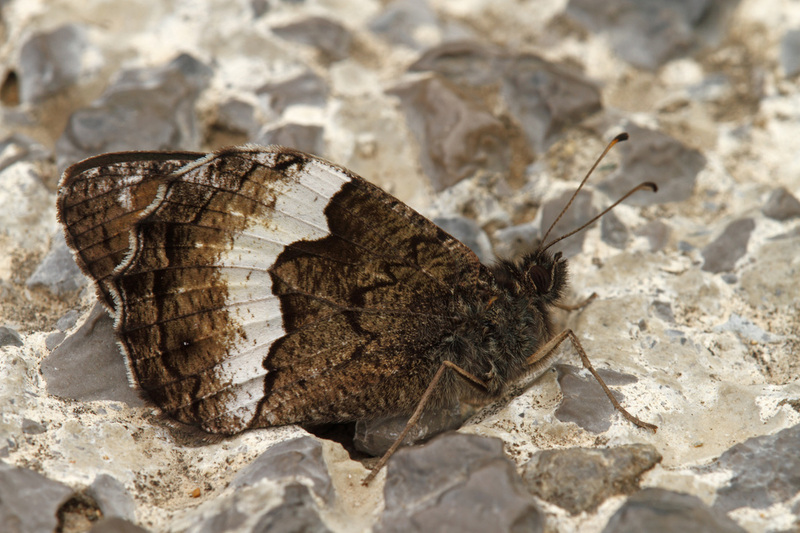 The larval foodsplants are various coarse grasses.